This is a statement I heard from an Haitian lady being interviewed on Haitian radio about recycling and protecting the environment in Haiti. "If they [the students] do not,", she says, "who will educate the masses to protect the environment?" That's not quite true... Most Haitians in Haiti have not been offered any alternatives. If there was no garbage pickup in Plantation Florida, where I once lived, Central Park would be a dump site. She also spoke about education and possible courses to help the environment in Haiti. That's a good idea but there is a simpler alternative: What about setting up an environment friendly infrastructure? I bet you, If the city of Hinche Haiti tells all it residents: "Mete fratra deyo chak Mardi, yon machinn fatra ap pase pran li," I guarantee you, everyone will do it. On the other hand... If you ask the same residents to pay more taxes so that the city can afford a sanitation department... Ou kwe yo ap dako? 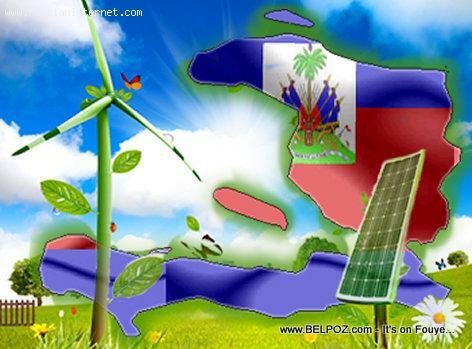 « In Haiti, You burn much MORE GAS per mile!